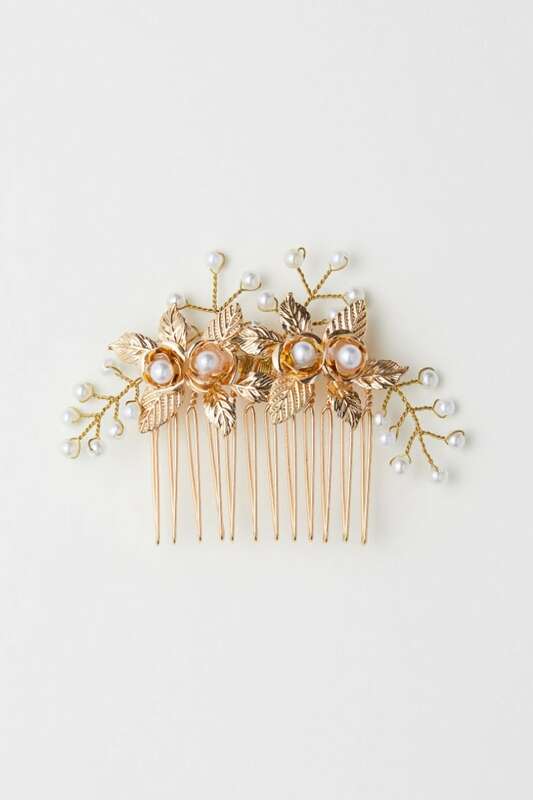 8 adornments to give your hair a festive party makeover. The holiday invites are coming in swiftly. Yes, the outfit is always our first thought, but a good hair accessory could take the pressure off finding something new to wear. This season headbands in particular are showing up in a myriad of designs and fabrics. Velvet and bedazzled touches are still really big. But jazzed up scrunchies are also having a really fun moment. 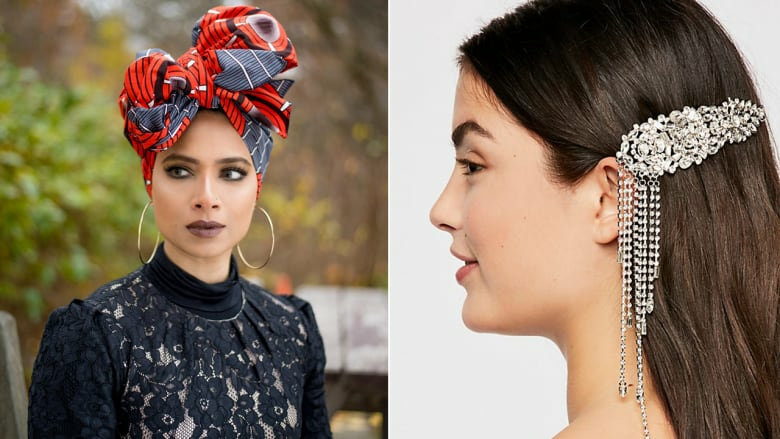 Whether it's a work party, a cozy gathering or a glitzy festive fete, there are some pretty enchanting hair trimmings out there you should try. Here are our favourites. You may not want to go too big at the office party, but you still want to show a little personality. Try wearing this metallic elastic over a sleek low bun. It's an easy way to usher in a little understated glam. 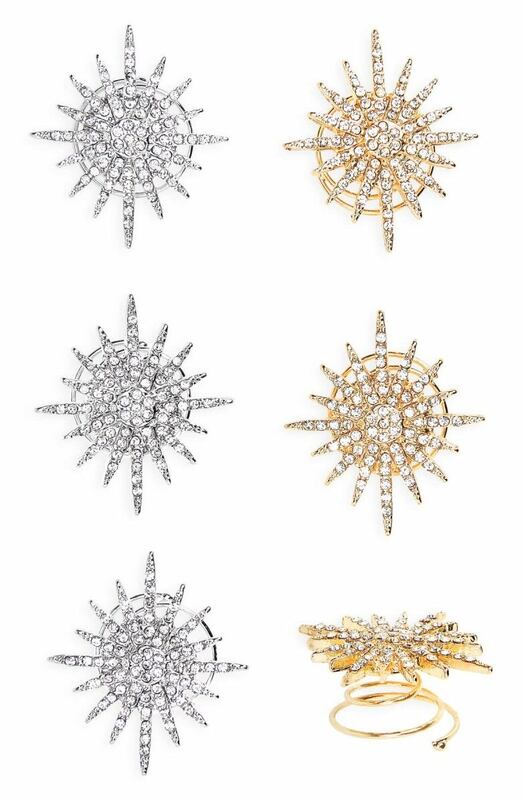 The clustered shiny bauble effect is memorable, elegant, yet sturdy. This is what you should wear to that cocktail holiday party if you want the roving photog to get that perfect side angle shot of you. 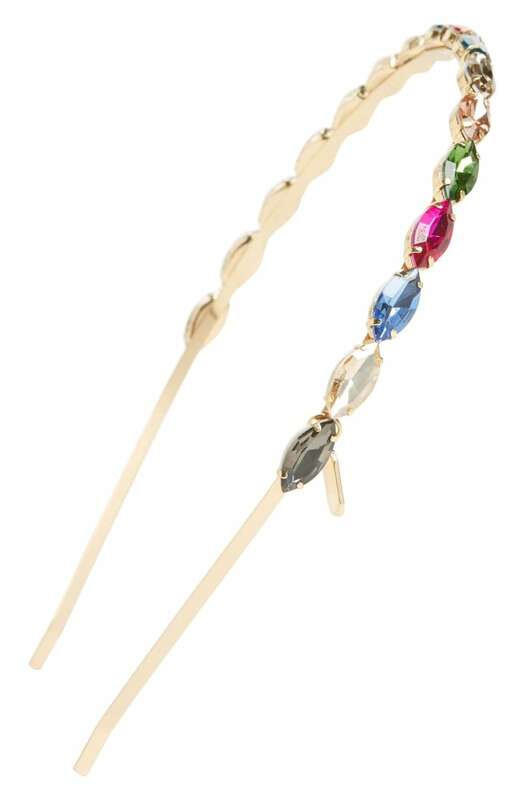 This dangly barrette is definitely a head turner. 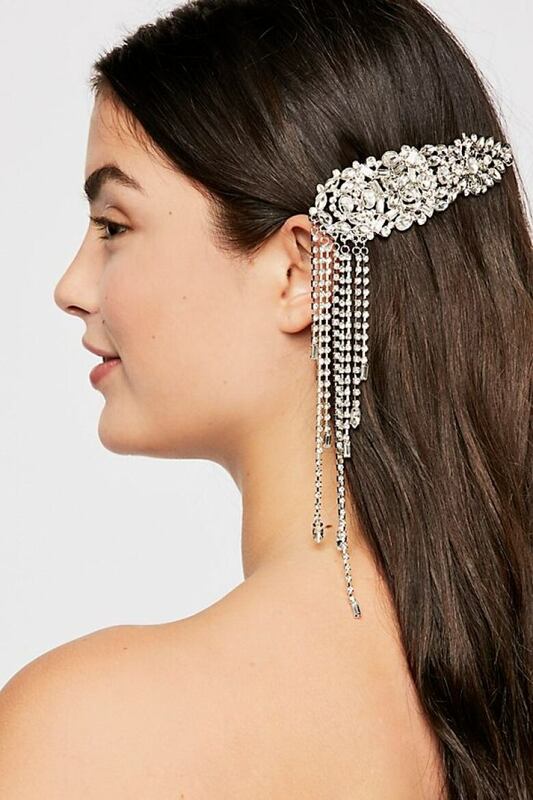 It can be worn toward the back of your head in an updo or half-up style, but it shows off so its fringed rhinestone drama so well when worn as a side clip. Forget that complicated goddess crown hair tutorial, just throw on this bedazzled headband and you're good to go. This multi-stone sparkling tiara instantly gives you party-ready hair. The edges and underbelly of this headband are smooth, so you won't have to worry about tangles. Better for thicker and more textured hair, as it may slip a bit on smoother strands. 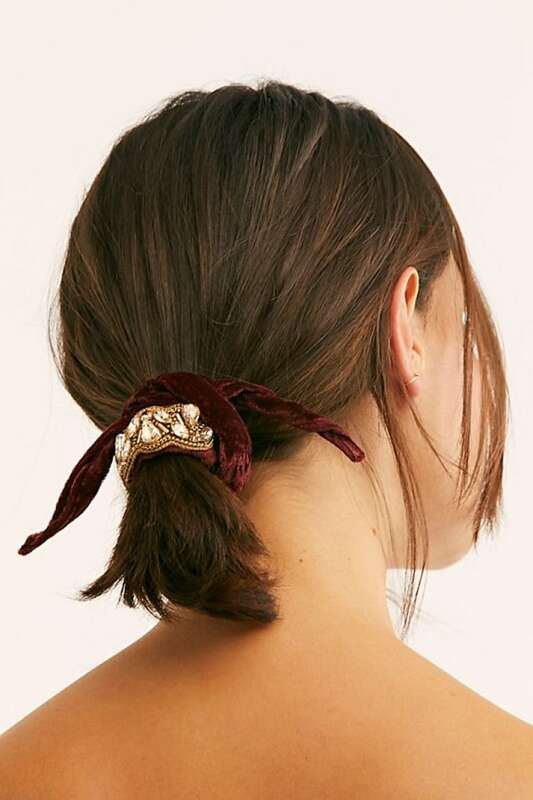 This is an age appropriate twist on the scrunchie. 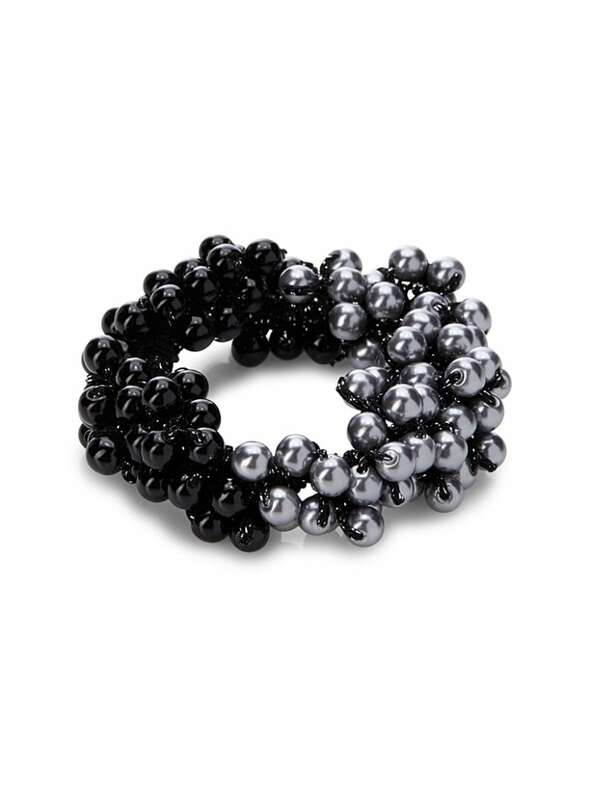 The luxe velvet with crystal and bead detailing gives this hair tie an elevated lift. We're also definitely seeing a lot of deep reds and maroons on the holiday party circuit so this accessory fits right in. Though it may look like it will fit loosely, there is a hidden elastic inside so that it stays secure; even if you have thick hair this hair tie won't easily snap under the pressure. You'll be sitting pretty at New Year's Eve dinner with bae wearing this fairy-like gold hair claw. It looks way more expensive than it is and you can rock it in so many different ways: the underside of an updo, pushed up then firmly down to the side on loose hair, or even securely perched in a french braid. The gold, pearlescent beading and leaf motif is giving us all kinds of Lord of the Rings elf vibes and we love it! 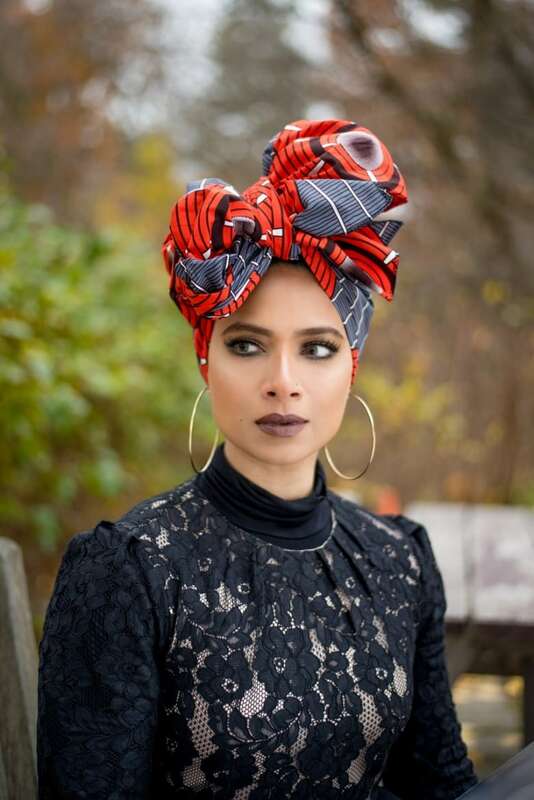 Step in to that upscale holiday party like the queen that you are in this gorgeous ankara headwrap. It's a different take on the typical holiday look, but the vibrant red, black and white colours still give off a festive feel. Plus, depending on how you wrap it, your ears can be covered on cold winter nights. Twist in these intergalactic-feel spin pins for a fun spunky look and you'll be hard to miss on the dance floor on New Year's Eve. Whether your hair is up or down, the spiral design helps the pins lock in place. So dance away my friend! They would make a nice sparkly addition to loose curls or you can even nestle them into dreadlocks or braids. If you happen to be attending an outdoor gathering — perhaps at a Christmas market? 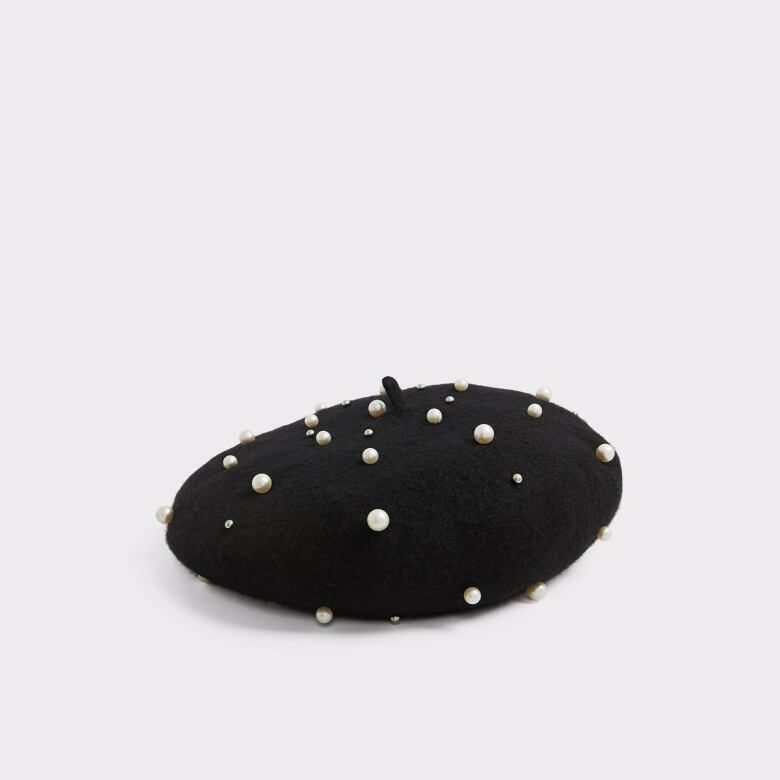 — consider this midnight black felt beret, bespeckled with assorted faux pearls. Perfect for a mid-December outdoor event, where a toque isn't quite appropriate. It's a classy and unexpected way to top off an otherwise low-key outfit.